For Seychelles, we can present a large number of Yacht charter offers. 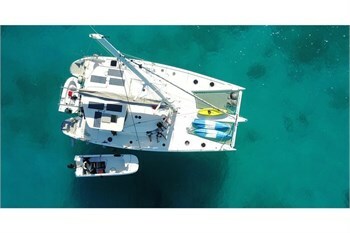 Whether catamaran or mono hull, short or long sailing trip, every yachting enthusiast can find a suitable offer for its sailing holiday in Seychelles. The good Yacht charter conditions and other numerous water sports activities in Seychelles continue to attract many tourists every year. During a sailing holiday in Seychelles the crew also gets the possibility to profit from the country-specific cultural features on land, which can make a sailing holiday quite varied and entertaining. A transfer from or to the airport is offered by many Yacht charter companies. Furthermore there are good shopping opportunities document Seychelles. The licensing requirements in Seychelles for a Yacht charter is aligned with the European system. So the crew can start relaxing in its sailing holiday.